Visit the Schedule of Events page to order tickets online. 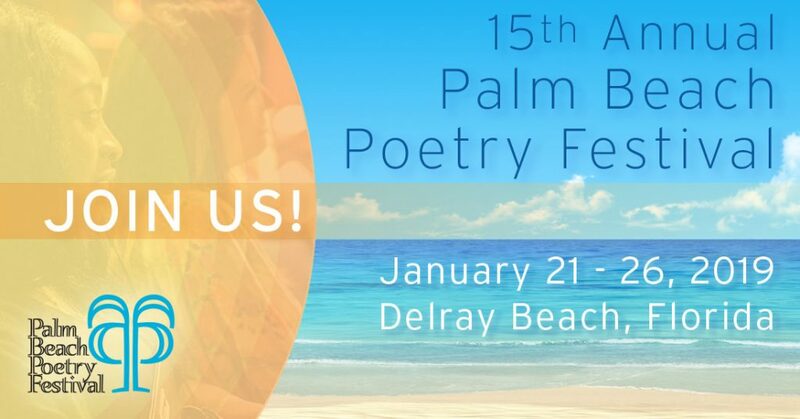 Or, visit the Delray Beach Center for the Arts, Crest Theatre Box Office, 51 North Swinton Avenue, Delray Beach, FL 33444, or call 561-243-7922, Extension 1. Service charges apply for tickets purchased online. Individual Event Ticket Prices are:$15 General Admission, $12 for seniors, and $10 for students. Student Group discounts available for groups of ten or more. 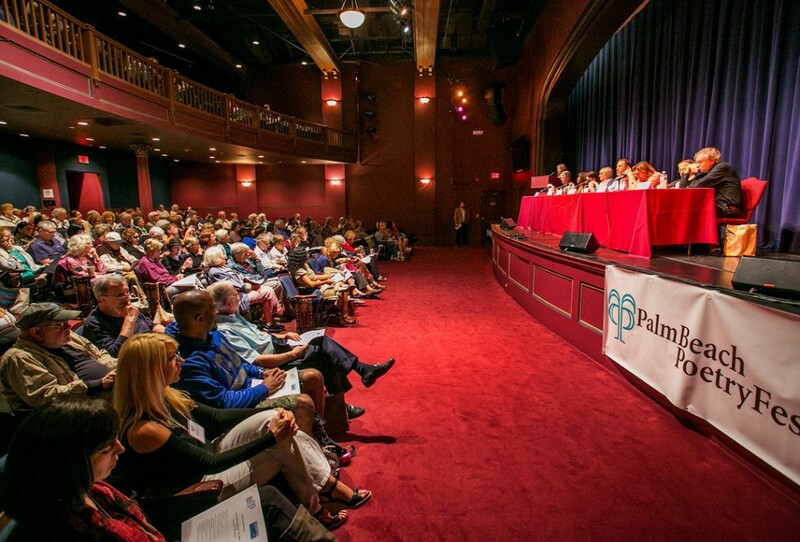 Inquire with the Box Office about groups, or email us at news@palmbeachpoetryfestival.org. Workshop Auditor and Participant Tuition includes admission to ticketed events.